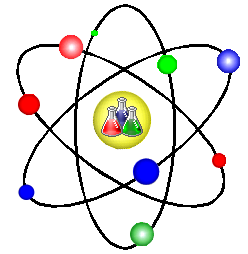 OAKS Science testing will take place on Monday, May 19th in the morning. This assessment is only administered to 5th graders and typically takes one session to complete. Make sure your child gets plenty of rest and eats a healthy breakfast. Today we received our salmon eggs from the Oregon Dept. of Fish and Wildlife. Thanks to Mr. Reed (Mrs. Reed’s husband) for driving to Clackamas to pick them up and deliver them to EY. The eggs originate from the Roaring River Hatchery in Scio, Oregon. Once they have incubated to the eyed egg stage, they become ready to dispurse to classrooms. We will raise our salmon in classroom incubators that are equipped with chiller units to keep the water cool (see previous posting for pics). Next week students will take turns conducting water tests and recording observations. On Monday we began our newly developed STEM unit which focuses on the essential question, “How can salmon populations thrive and coexist with energy demands in the Pacific Northwest?” Our first two lessons have focused on foundational information about the salmon life cycle. Students have read two articles about the salmon life cycle on the Columbia River and have learned about each of the six major life cycle stages. Next week we will focus on ecosystems, food chains, as well as a salmon population activity that integrates math. In the coming weeks, our students will take a look at energy and will engage in engineering and problem solving.